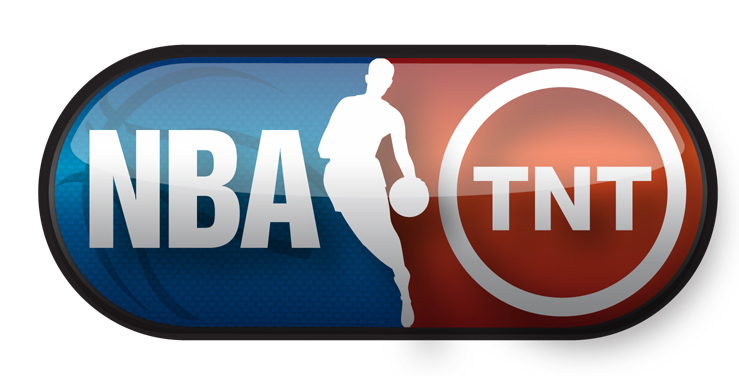 TNT’s NBA coverage of the playoffs continues tonight, Wednesday, May 6, with doubleheader action featuring the Chicago Bulls @ Cleveland Cavaliers (Game 2) at 7 p.m. ET and the Los Angeles Clippers @ Houston Rockets (Game 2) at 9:30 p.m.
TNT’s NBA coverage of the playoffs continues with the conference semi-finals on Tuesday, May 5, with doubleheader action featuring the Washington Wizards @ Atlanta Hawks at 8 p.m. ET and the Memphis Grizzlies @ Golden State Warriors at 10:30 p.m.
TNT’s NBA coverage of the playoffs continues tonight, Wednesday, April 29, with doubleheader action featuring a pair of Game 5 matchups – the Brooklyn Nets vs. Atlanta Hawks at 7 p.m. ET and the Portland Trail Blazers vs. Memphis Grizzlies at 9:30 p.m.
TNT’s NBA coverage of the playoffs continue tonight, Tuesday, April 28, with doubleheader action featuring the Dallas Mavericks @ Houston Rockets at 8 p.m. ET and the San Antonio Spurs @ Los Angeles Clippers at 10:30 p.m.
TNT’s NBA coverage of the playoffs continues Monday, April 27, with doubleheader action featuring the Milwaukee Bucks @ Chicago Bulls (Game 4) at 8 p.m. ET and the Memphis Grizzlies @ Portland Trail Blazers (Game 4) at 10:30 p.m.
TNT’s NBA coverage of the playoffs continues Saturday, April 25, with doubleheader action featuring the Atlanta Hawks @ Brooklyn Nets at 3 p.m. ET and the Chicago Bulls @ Milwaukee Bucks at 5:30 p.m.
TNT’s NBA coverage of the playoffs continues tonight, Thursday, April 23, with doubleheader action featuring the Cleveland Cavaliers @ Boston Celtics at 7 p.m. ET and the Golden State Warriors @ New Orleans Pelicans at 9:30 p.m.
TNT’s NBA coverage of the playoffs continues tonight, Wednesday, April 22, with doubleheader action featuring the Portland Trail Blazers @ Memphis Grizzlies at 8 p.m. ET and the San Antonio Spurs @ Los Angeles Clippers at 10:30 p.m.